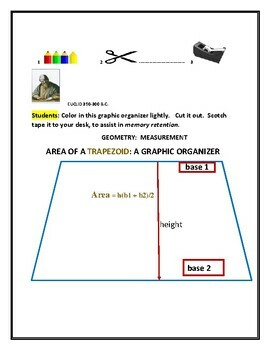 This is a set of 5 graphic organizers for students to cut out, color in lightly, and scotch tape them to their desk. 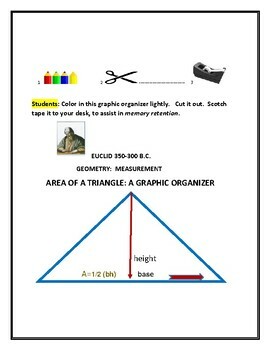 They can tape each one, as the geometric formula is being taught. 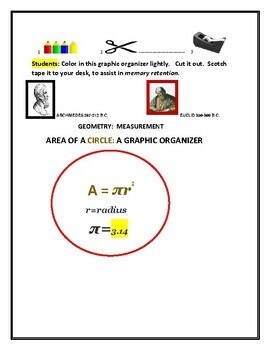 They are for area formulas-Euclidean geometry. Have fun! 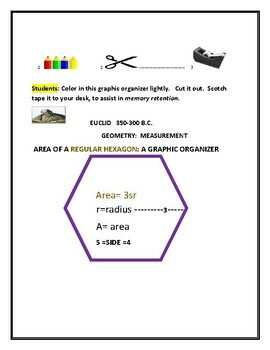 They are meant for memory retention!